The build-up to the UK Referendum on EU membership has revealed a level of nasty rhetoric on both sides of the campaign. The murder of MP Jo Cox has uncovered the depth of animosity hiding below the usual British veneer of calm. The US Presidential election process has revealed a level of division that plays out like some reality TV shows. Are we able to find a way to discuss, debate and settle our deliberations in public life (in the public square) through reasoned persuasion: free of coercion, fear, force, intimidation, manipulation? Are we able to make decisions based on access to information, to truth, to unbiased research? 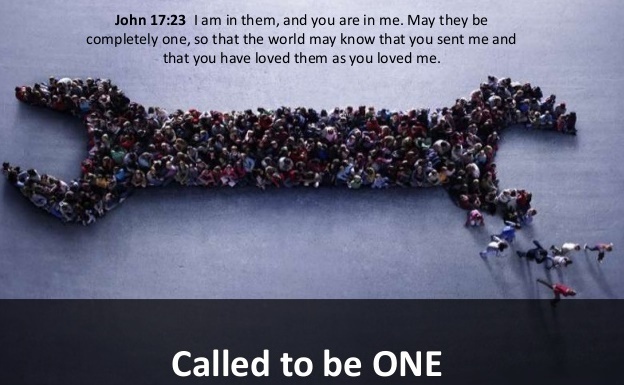 Jesus’ prayer is a prophetic call for us to reflect the oneness we see in the Trinity. A unity that demonstrates love and shalom. We were created to be in harmonious relationship with God, with one another and with creation. Reality Check: Over 40,000 denominations and many more expressions of church, often competing, sometimes complementing, all claiming they have the clear understanding of Scripture. We sometimes see leadership taking the position of power rather than service; using manipulation to forward their own agendas rather than God’s agenda. Conflict before the Fall: It is interesting to note that God commands Adam and Eve in Genesis 1:28 to “subdue” the earth before the Fall in Genesis 3. Subdue can mean to overcome, gain order and control, or put down a rebellion. Why say this before the Fall? Could it be that the rebellion of Satan and the Principalities and Powers were already seeking to steal, kill, divide, destroy (John 10:10) and so God was calling them to be on guard? Avoiding Conflict: Eve initially challenged the serpent, but was swayed by the discussion. I have often wondered why Adam did not argue with the serpent or with Eve on eating the forbidden fruit; after all, the command to not eat this fruit was given directly to him by God. Could it be that he avoided conflict and dialogue? Certainly by the time God came to them both, they were into the 'blame game': blaming someone else. Conflict and disagreements are not in themselves wrong. Indeed, we need to have robust dialogue in order to let truth be made known to all. Ephesians 4:25-26 calls us to speak truth and to not avoid conflict as this gives Satan a foothold, allowing bitterness and nasty undermining attitudes and actions to develop. Shalom means facing the conflict with straightforwardness, integrity and love. It means uncovering the truth. It means we need to work it out together rather than allowing Satan to have a foothold, remembering that our real battle is not with each other but with Principalities and Powers (Eph 6:10-17). The way we work through conflict reveals the Good News of Jesus. Taking this now to the public square will require us to be secure in our identity before God. We need to ensure we get all aspects of our identity from being rooted in Jesus. Our worth, our value, our sense of purpose and calling, and our sense of being loved must come from him, so that when we are speaking truth, shining light into areas of darkness, we will be able to stand secure. Then the world will know we are in Jesus. 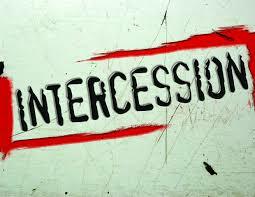 Pray in the Spirit on all occasions with all kinds of prayers and requests. With this in mind, be alert and always keeping on praying for all the saints. (Eph 6:18). Pray for the unity of believers. I thank God for all our members in Micah, for our unity around integral mission. I invite us all into healthy dialogue, even in our disagreements, to work through our conflicts and seek unity so that the world may know Jesus through our lives. 1) Ensure every refugee child gets an education. 2) Ensure every refugee family has somewhere safe to live. 3) Ensure every refugee can work or learn new skills to make a positive contribution to their community. As you pray for refugees, please consider signing this petition in solidarity. Pray for each of the 3 points. A young mosquito went out flying for its first time in life. When it came back,the father asked, "How was it out there and how did you feel?" 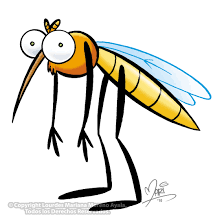 The young mosquito replied, "it was great, daddy, every one was clapping hands for me!" The father replied, "No one was clapping hands for you. Every one wanted to kill you. The more they clapped, the greater the risk to you!" Reflection: In life, not all the people who clap for you or laugh with you wish you good. Thank you to Pastor Gastavas Kateregga, from Reconciliation Ministry Uganda, for sharing this thought with us. UK Referendum, 23 June: pray for the discernment of each citizen as they cast their votes. Europe's response to Refugees and Migrants: pray that each national government and then the EU would put aside selfishness and work on a joint policy that creates a place of safey and well-being for all those in need. Watch this video from Save the Chidren to help inform your prayer. Leadership Changes: many of our Micah members have been going through leadership changes. Please pray for the new leaders as they take up their roles. Nepal: a number of concerning challenges are being faced by believers. Please pray for wisdom and strength for them as they go through these difficult times. Yemen: Ongoing peace negotiations to resolve the protracted crisis in Yemen are currently being held in Kuwait led by the UN. Pray for progress and healed relationships in the region so that the suffering of civilians in the country may be ended. Upcoming events: please pray with us for each of the planned activities in Micah, and those of our members.